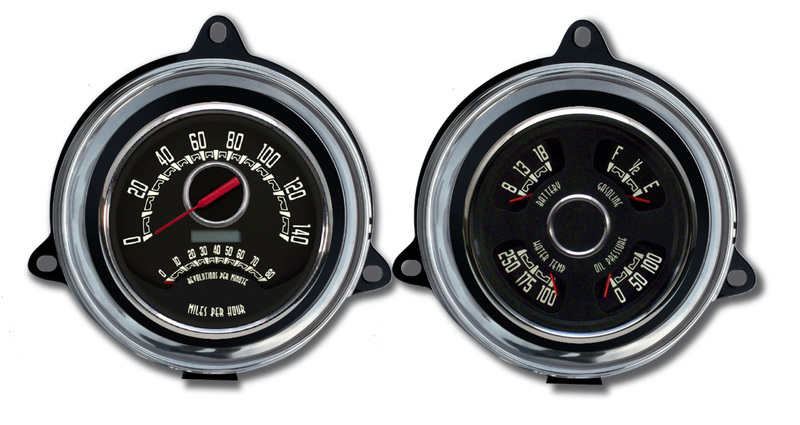 New Vintage 1954 Chevrolet truck kits feature reproduction truck bezels for an authentic deep dish look that is similar to original. 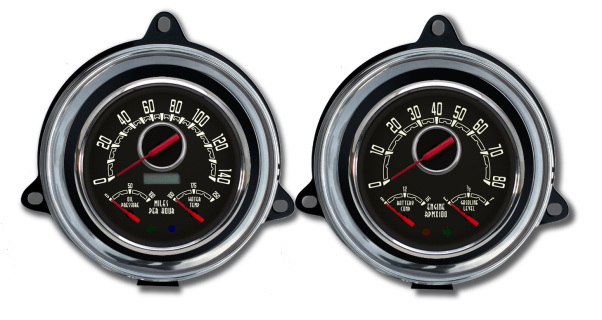 By using the stock type bezel the gauges are recessed like the original and fit the dash in a way that looks like they were born to be there. 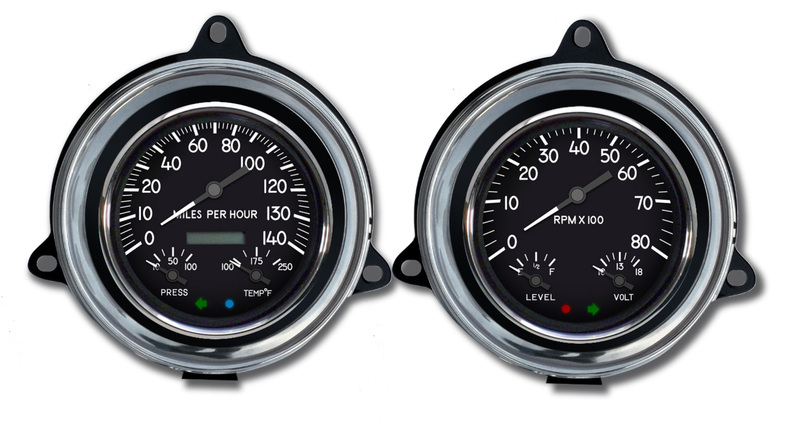 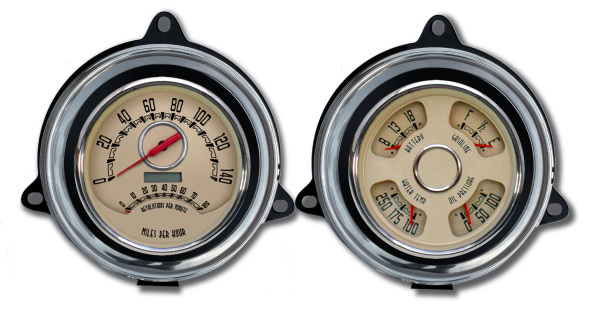 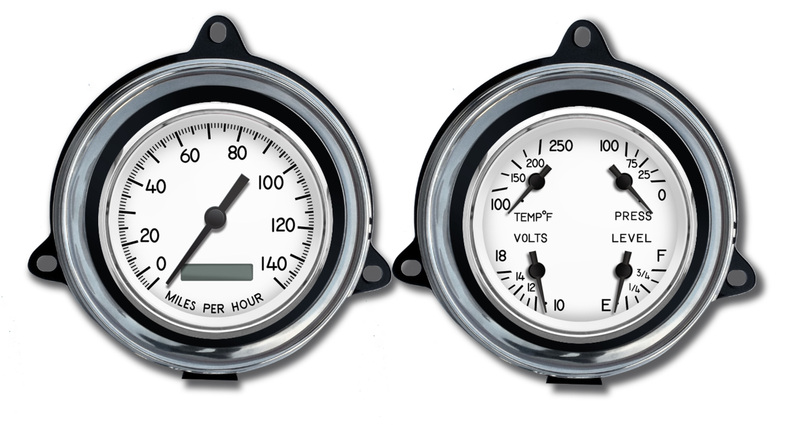 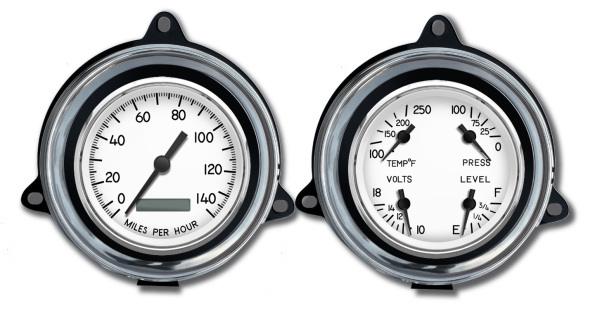 Several different style gauges are available. Gauges will work with small blocks, big blocks all the way to the LS engines, all coils, PCMs and all speed senders including GPS senders. 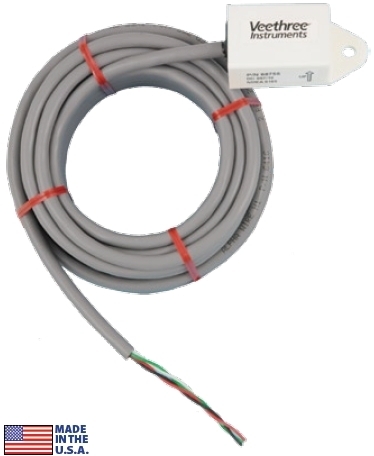 Adjustable, universal fuel level sender 240-33 kits only.